‘SoundHound’ has been one of two premier tune identifying applications for a while now. The studio behind the popular application is now introducing a downsized version of mobile song recognition: ‘Hound’. 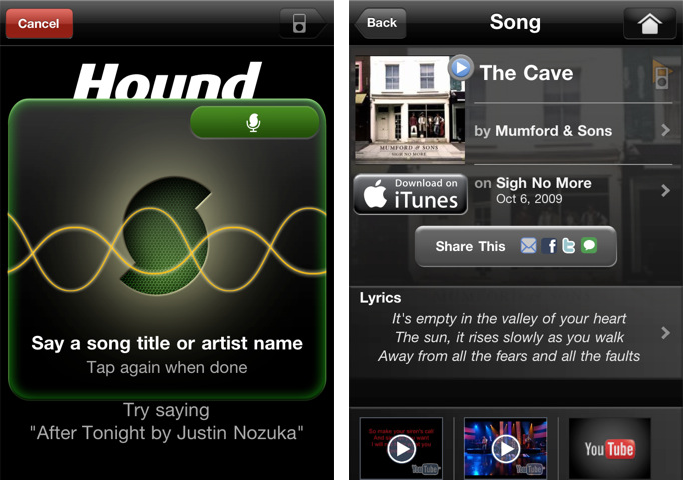 ‘Hound’ is a free app that allows users to search for a song, artist or album title using their voice. To start searching, users just have to speak into their phone’s mic and tell Hound what they are looking for. Unlike SoundHound, the new-fangled application won’t accept singing, humming, or recorded music. Hound digs through results from SoundHound’s music database, displaying album art, YouTube clips, tour dates, and a link to the iTunes music store. Lyrics are available for most songs, too. Hound is also quicker — much faster than its big brother or Shazam — but users need more information on hand to search for music.. 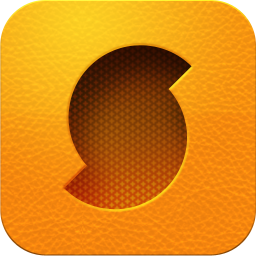 While Hound isn’t really a step forward when it comes to music discovery, the app paves the way for SoundHound to step into more voice-search technology, perhaps putting it in direct competition with the likes of ‘Vlingo’ and ‘Nuance’. ‘Hound’ is available in the iOS App Stare for free.